Three views of the Mosquito B Mk IV, a standard bomber version, with an additional side view of the NF Mk 30 night fighter. 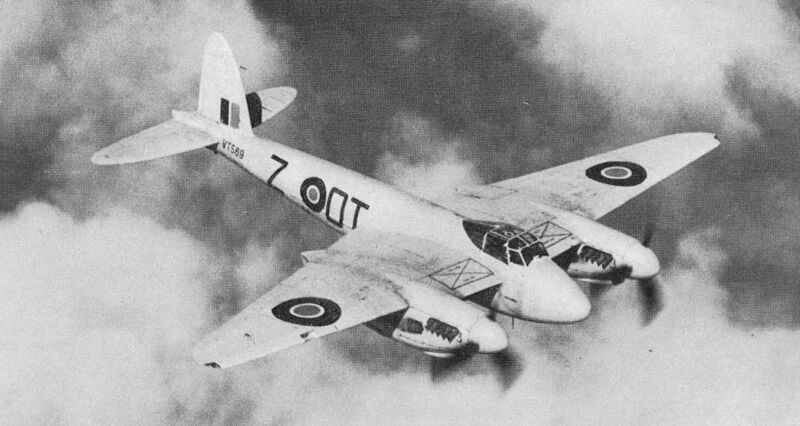 A late-model Mosquito T Mk III in all-yellow trainer finish; this type shared with the fighter models a flat bullet-proof windscreen. 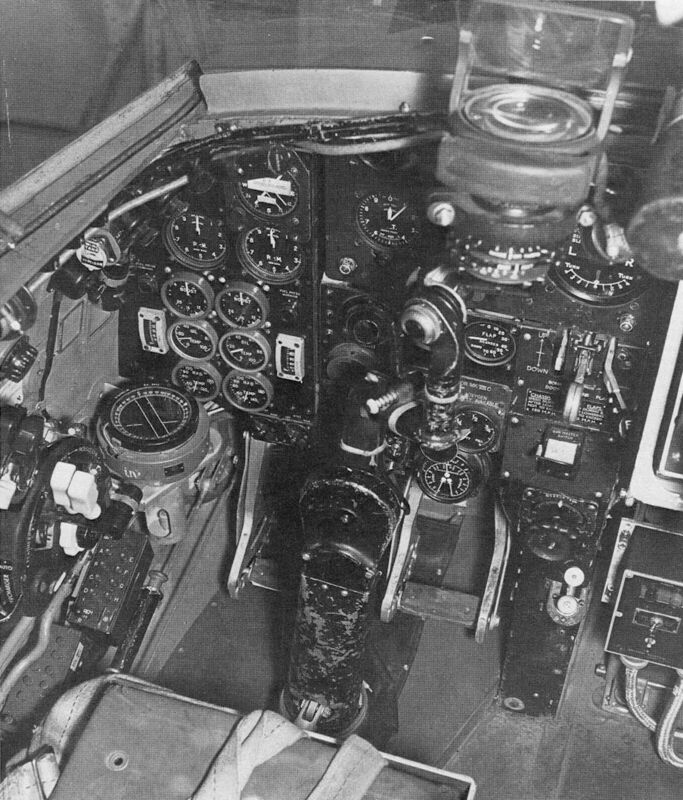 Pilot's cockpit of the Mosquito NF Mk 30 (one of the latter night fighter variants), showing the stick control and the throttles, extreme left.